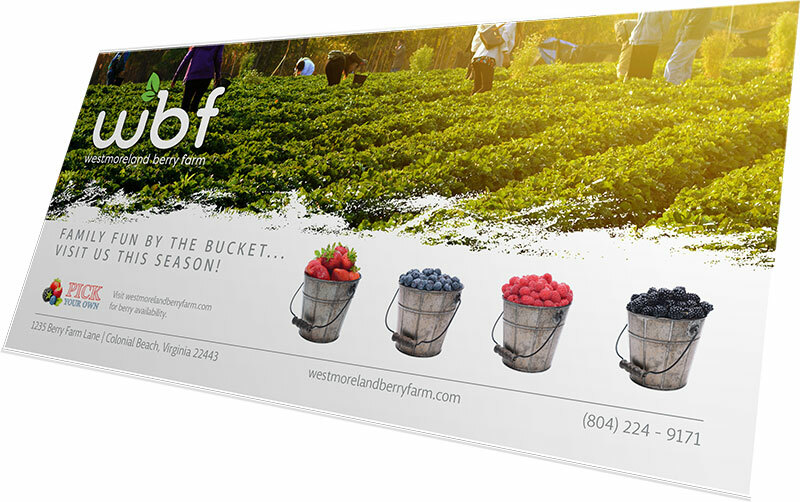 Westmoreland Berry Farm – A family owned and operated farm located in King George County VA. The team created a website available on various platforms and devices bringing this farm into the electronic age. 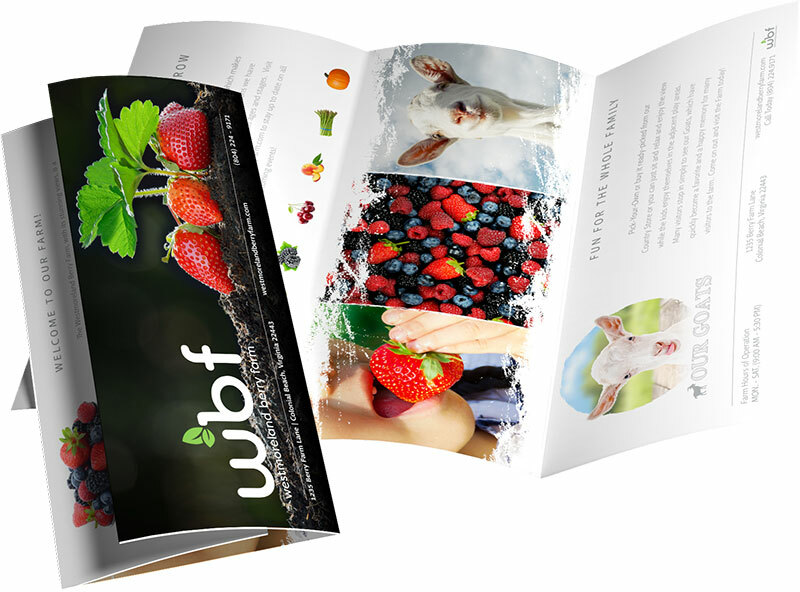 Westmoreland Berry Farm has trusted the Childress Agency team to create professional and eye catching collateral such as rack cards and brochures. 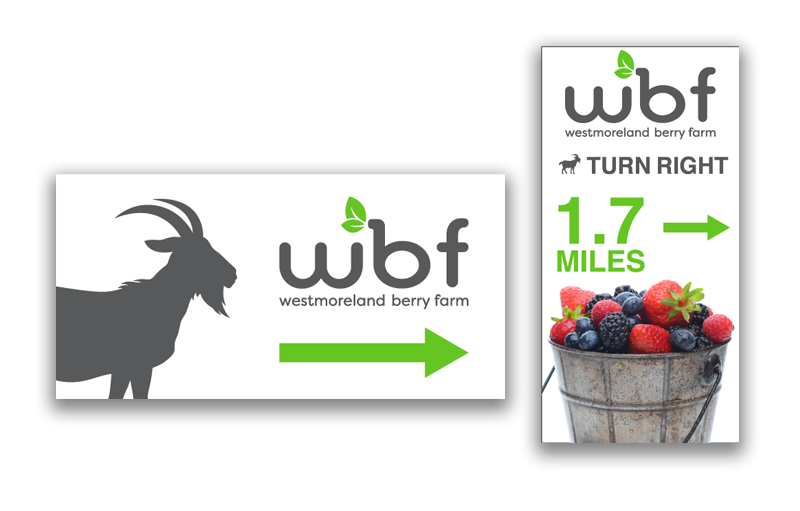 Logo developed for Westmoreland Berry Farm to bring a more modern light to the company. 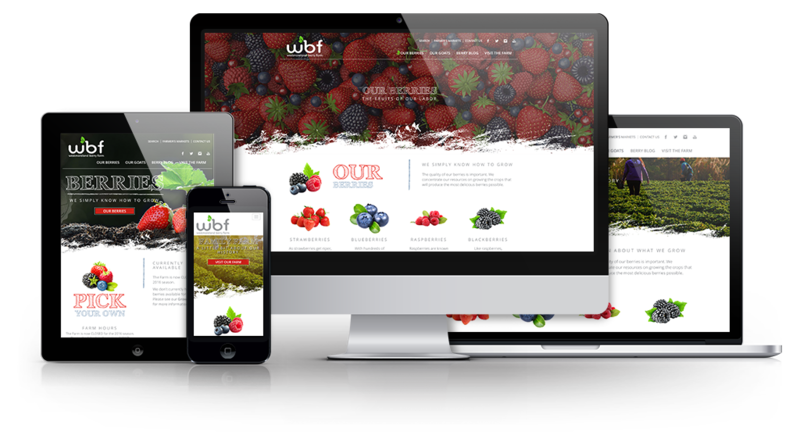 Responsive website designed to be user friendly across all platforms and devices to provide content about the farm, different crops, seasons and events they have. Trifold brochure used to give a general overview of the farm and all it has to offer. 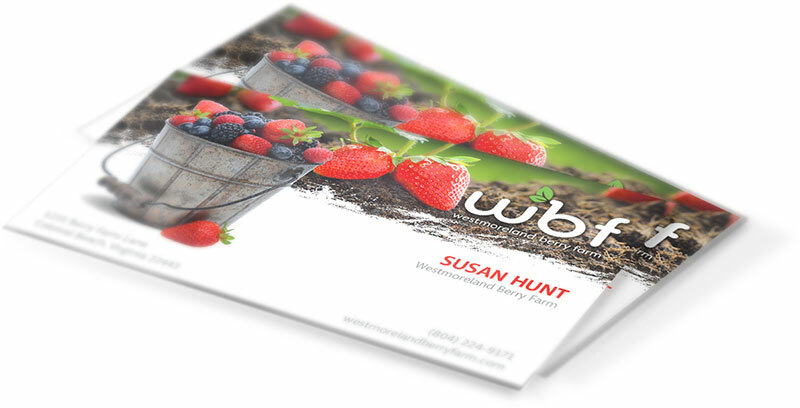 Rackcard made to give customers an overview of the different berry seasons and what is available around the year. Business cards made to match the new modern look of the farm. Road signs leading to the farm tell customers which direction to travel.